‘Wild Life’ was to do with me having gone on safari and actually seeing that sign that I sing about: ‘The animals have the right of way’. Which really impressed me. You just realise the sort of dignity and strength of wild animals because here they’ve got the right of way. Whereas we’re all so full of our own importance. It’s kind of nice, you know. You’re just a guy in a Land Rover. You don’t matter so much! So that was why I wrote that song. Man, you know, we’re the “top species”, and yet we’re the ones who eff it up, which is not right. 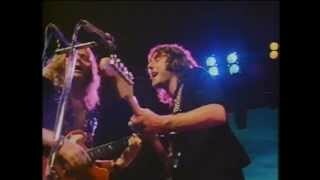 “Wild Life” was played live during the 1972 Wings Over Europe Tour and 1973 UK Tour. It was rehearsed for the 1975 / 1976 Wings Over The World Tour, and for the 1989 / 1990 Paul McCartney World Tour. A snippet of it can also be heard on One Hand Clapping. The word "Wild" applies to the words "You" and "Me"
I saw a sign say "The animals have the right of way"
But, baby, you know not where. Of political nonsense in the air. “Wild Life” has been played in 41 concerts.